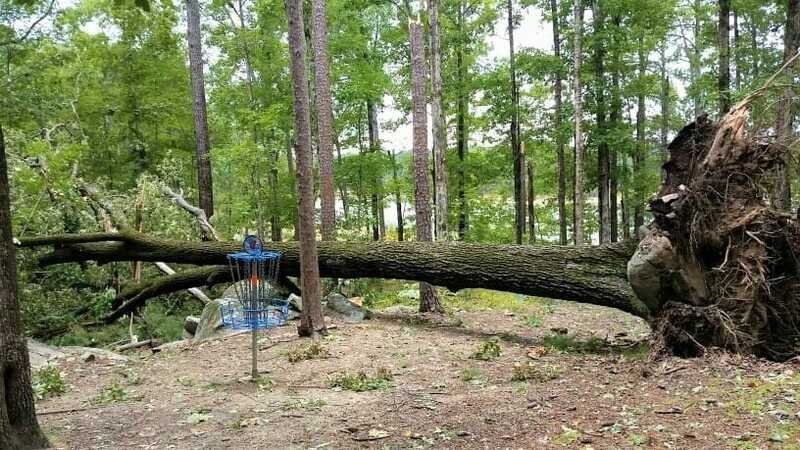 While the United States Disc Golf Championship, which has been susceptible to some foul weather the past couple of years, had near-perfect conditions for 2018, the Ed Headrick Hall of Fame Classic at the International Disc Golf Center this weekend may not be so lucky. Appling, Georgia is currently in the projected path of Hurricane Michael after it makes landfall. The storm looks like it may be passing through the southern and eastern parts of the state late Wednesday to Thursday, but tournament staff is more concerned about lingering course conditions after the weather moves on before the start of the event Friday. Last year, the IDGC courses were affected by Hurrican Irma, which brought down more than 60 trees on the property a couple weeks before the HOF Classic. Even if high winds don’t reach the Augusta area, expect the courses to be a bit waterlogged come tournament tee-off. Comments on "Hall Of Fame Classic Prepares For Inclement Weather"